Hello! How are Your Gums Doing? Have you ever noticed blood in the sink when you brush your teeth? Do you feel embarrassed at times because you believe you have bad breath? This could mean you have gum disease or gingivitis. If gingivitis isn’t treated at once, it can progress to an even worse dental health problem which is periodontitis. Most people brush their teeth twice a day, but is that enough? Brush your teeth for at least two minutes each time. Ideally, you should brush your teeth before you go to bed and at least once more in the day. At times, people feel like they don’t have time to brush for the entirety for two minutes, but you should really make it a point to brush your teeth for at least that long. If it helps, you can set a timer on your phone so you’d know when you’re done. Lastly, proper brushing technique is critical to your overall success too. Ask us to tweak your technique or routine at your next visit. Change your toothpaste. If you constantly have bleeding gums, you might have to switch to a toothpaste that is specifically formulated for this condition. 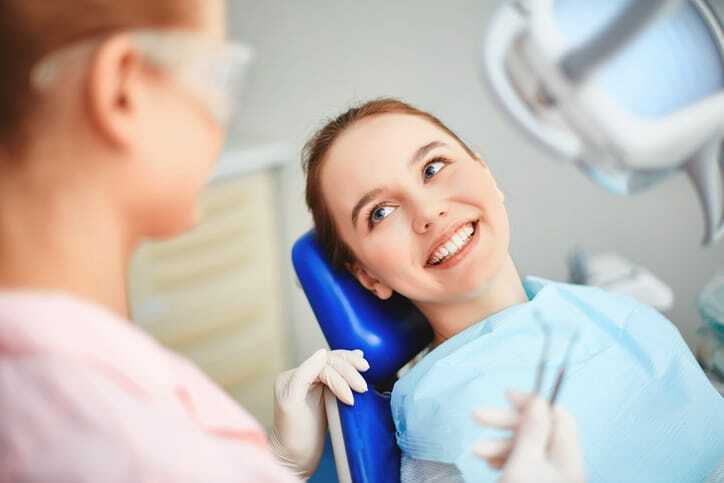 There are clinically proven products that are available commercially, but of course, you can always ask your dentist at Pickering Square Dental for recommendations. Don’t skip the floss! You want to be sure that you are cleaning the space between your teeth thoroughly. Often, bacteria hide in places where your toothbrush cannot reach. Regularly cleaning between your teeth prevents both gum disease and tooth decay. Some people find flossing a little tricky, so you might want to check out interdental brushes to reach the gap in between your teeth. Ask us to tweak your tweak your technique. Swish some mouthwash. You want to protect your mouth in those hours between brushing. Mouthwash can help you with that by lowering the levels of bacteria in your mouth. Remember, though, that mouthwash should be used in addition to regular brushing and flossing and not instead of. Mouthwash can help in rinsing out food particles from your mouth and of course, it can deter bad breath with its fresh and minty smell. Stop smoking. People who smoke are more susceptible to gum infection because tobacco causes a lack of oxygen in the bloodstream. This results in reduced flow of nutrients and blood to the gum tissues. Don’t wait for things to get worse. If you notice any sign of change at all in your gums, including redness, tenderness, and bleeding, contact your dentist. That can be an early sign of gum disease. Because gum disease is a progressive condition, you should not leave it untreated. If you’re concerned, you can call Pickering Square Dental and book an appointment as soon as possible.